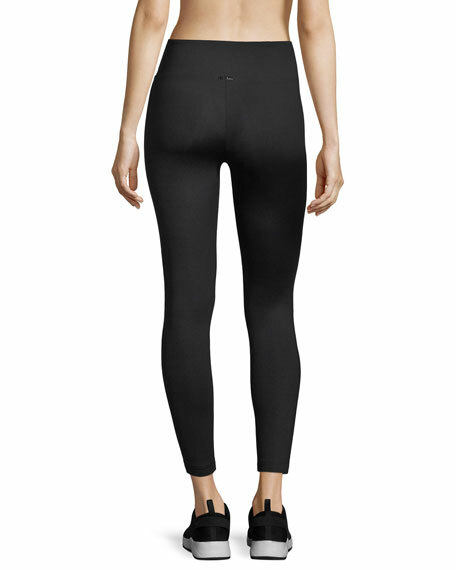 Koral Activewear "Emulate" leggings featuring a marble-print front and lustrous, leather-look back. Moisture-wicking performance fabric designed for medium-impact activities. Infinity, nylon/Xtra Life Lycra® Sport spandex. For in-store inquiries, use sku #1790073.